When you hear about themed bars, you may think of someplace tacky, or for tourists only, but what’s wrong with that? Especially when you want to go someplace and have fun with your friends. Some of the bars featured here have out of this world decor and crazy cocktails for a unique drinking experience. From sitting inside the belly of an alien beast, to drinking out of a disco ball, there is no end to the imaginative bars experiences out there just waiting to had. Feel just like a kid again at an adult only amusement park. 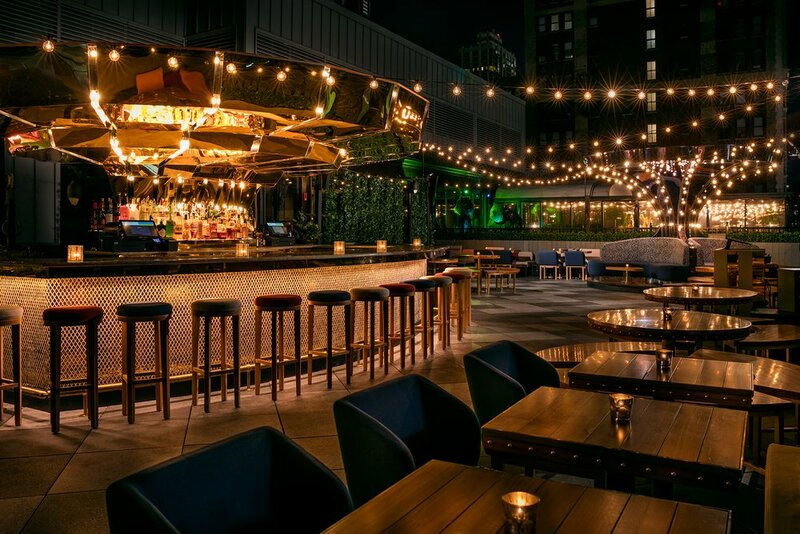 Magic Hour Rooftop Bar and Lounge is New York City’s largest indoor/outdoor bar. This self proclaimed “urban amusement park” sits atop the Moxy Times Square hotel and gives guest a beautiful view of midtown and the Empire State Building. There is plenty to see with its rotating carousel tables, topiary garden, and putt-putt course filled with animal statues in some very naughty positions. Their cocktail menu features specialty drinks to share including margarita gummy bears and drinks served in disco balls. And if you end up partying just a little too hard their menu includes Crashpads, a $99 room in the hotel where you can spend the night. Head underground to a bar where time froze in the 1940s. Cahoots at Kingly Court in London is the hottest underground party, literally. 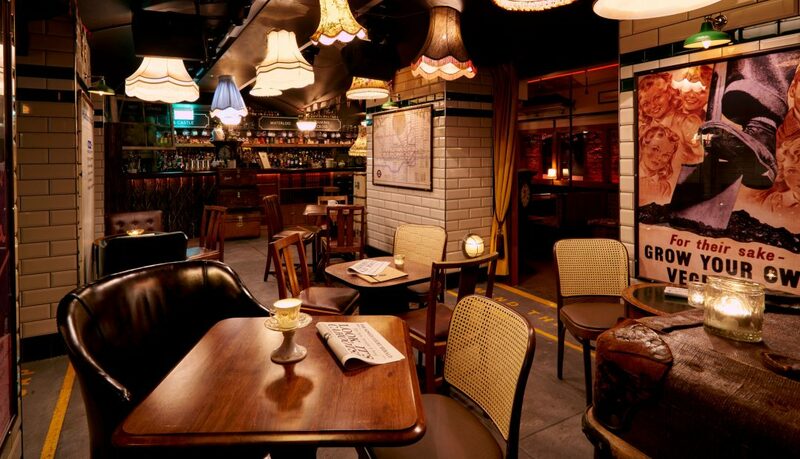 Head down into what looks like an old tube station to experience this classy joint, complete with swing music and post-war themed drinks. Order your drinks off an old newspaper menu and enjoy your cocktail out of tin cans, old milk bottles, or anything else that can hold it. On Saturday’s you can book a table and enjoy a “Squiffy Picnic” which includes a picnic basket filled with treats and your choice of cocktails. While dining on your picnic there is a live band playing all the hits from the 40s so remember to bring your dancing shoes. Enjoy your cocktail in one of the creepiest bars in Europe. 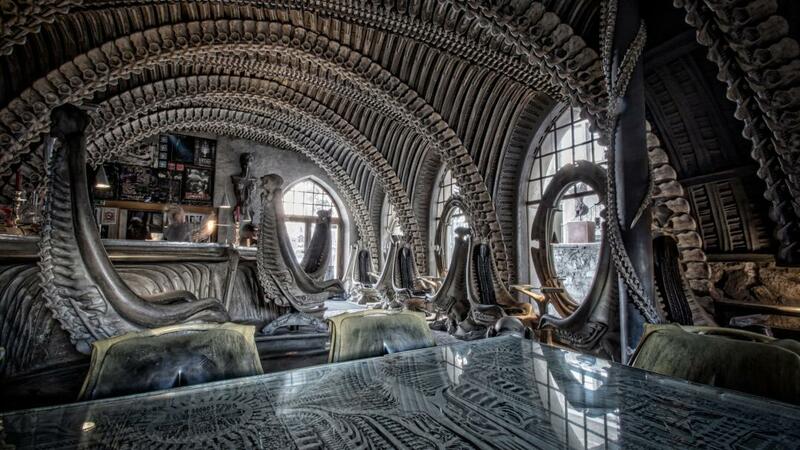 The HR Giger Bar Museum in Gruyéres, Switzerland, was designed by H.R. Giger, who is famous for his design work on the Hollywood classic Alien. His work on the film carried over to his design in the bar, with its interior looking like the belly of some otherworldly being. It is seen as a true piece of art and draws sci-fi fans from around the world to have a drink while sitting in the chairs made of bones under a ceiling that looks like a giant ribcage. 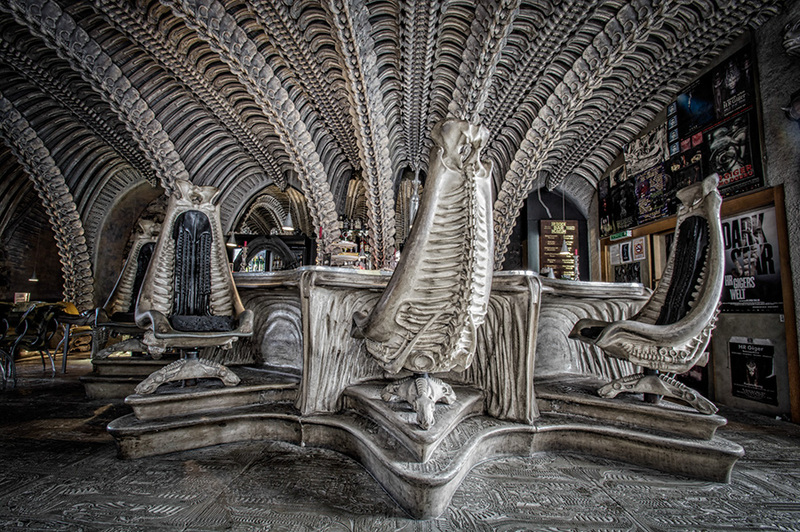 There is another HR Giger Bar located in Chur, Switzerland, but this one is considered to be the favorite of the two for its more elaborate architecture. The dress code is no shoes allowed at Seacrets in Ocean City, Maryland. Sip on your cocktail while floating along the bay in a raft. This is the perfect place to be when the sun is out. Their menu is Caribbean inspired with tropical specialty drinks and live music every night. 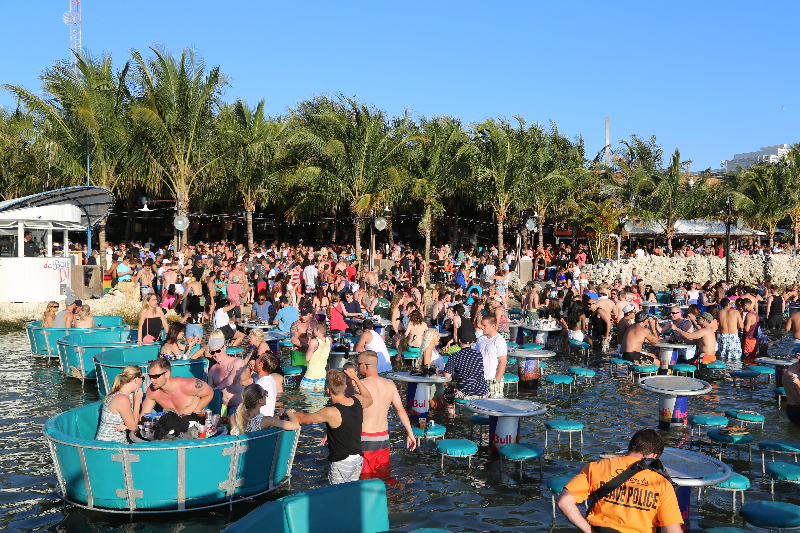 After you dry off from your time on the bay, Seacrets has several other bars to move to next. This place is huge, with 18 different bars and dance floors you could try. It is a must see spot whether your on Spring Break or a Bachelor party trip. Have you ever been to a bar where the drink prices change through out the night? At Bar Dow Jones in Barcelona, Spain they do. Here drinks are treated like stock, everything from beers to mixed drinks to shots. The more a drink is purchased during a night, the more its price goes up. One minute you beer could cost 5€, the next it’s 10€. 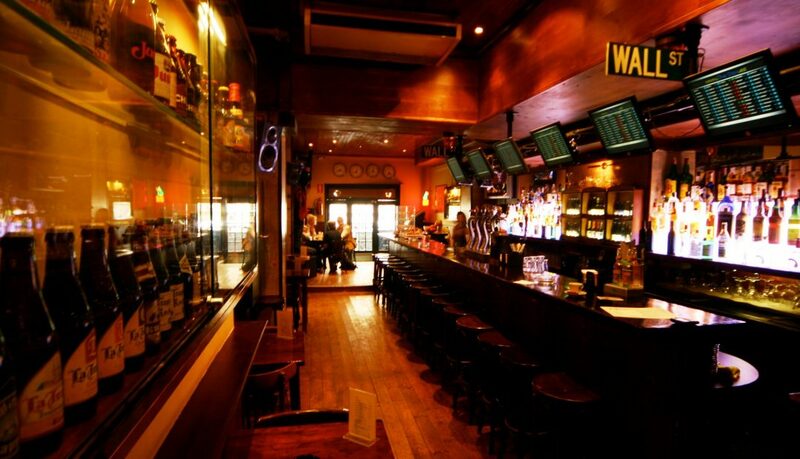 The bar is themed just like the New York Stock Exchange and even includes tickers throughout the bar updating you on the current prices of drinks. As the night goes on you might experience a “market crash”. This is when most of the drinks on the menu will have higher than normal prices, causing a crash in the market and making most of the drinks a lot cheaper. It is an interactive experience to add to your night out. You can only hope for a crash when its your turn to buy a round.